The easiest way to kill an idea is not to interact with it and prove it wrong, but to label it or the persons supporting it & dismiss it. You may have the greatest idea for the development of humanity, but if I call you racist, I never have to interact with the idea, instead I’ve decided I don’t like your idea, therefore I don’t like you, therefore it is easier for me to attack you with emotive labels rather than interact with you. Try it it works really really well. Some of my favourites are, racist, anti Semite, liberal, conservative, tree hugging hippy, fundamentalist, crazy…. These labels and others like them, work like toe tags. 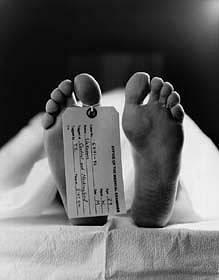 bag’d & tag’d another dead idea. 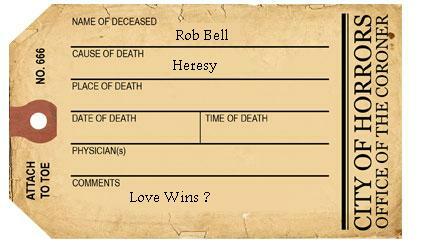 Part of a series of posts reflecting on the release of Rob Bell’s Love Wins book, they are, love wins, neighbours, bagged & tagged, you want answers? !, and Love doesn’t win: a sad tale of two men.